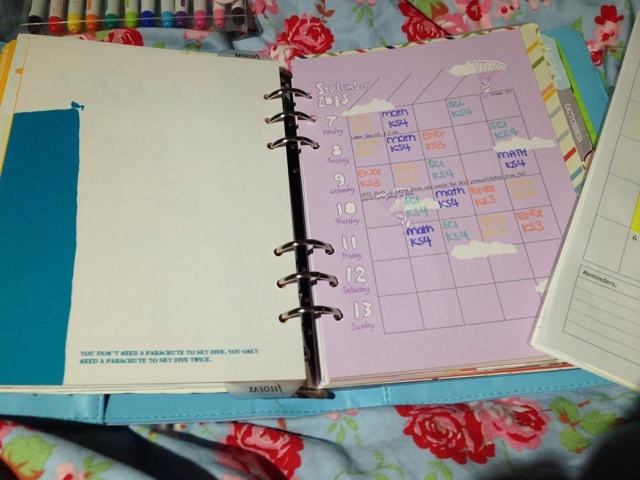 I've never been a huge fan of the wirebound planner. I don't have anything against them, but in the past I've found they don't work for me. In saying that, I've learnt a lot about myself over the past year as a planner. Ordinarily I use my filofax for work, but each year we're given a planner at work as standard and this year I'm loving it! 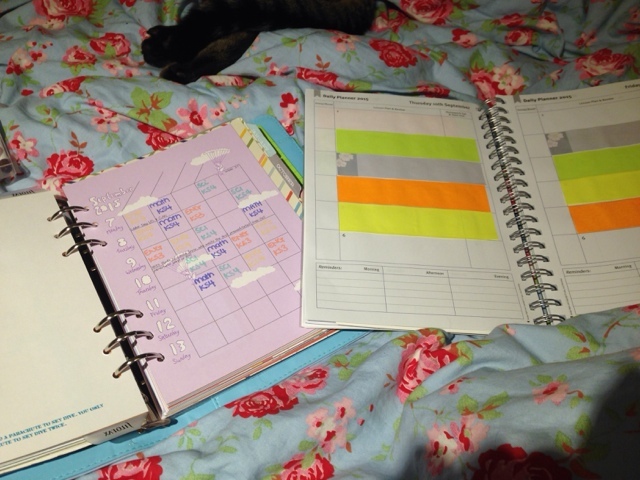 My filofax has a week to view, using dodo pad inserts. They're colourful and fun as you can see, but sadly there's not a lot of room to write anything down. However my wirebound has a day to view page, so I've used post it notes to colour code what I'm doing in each part of the day. In addition to that I use smash page flags to keep a record of meetings, training and planning. 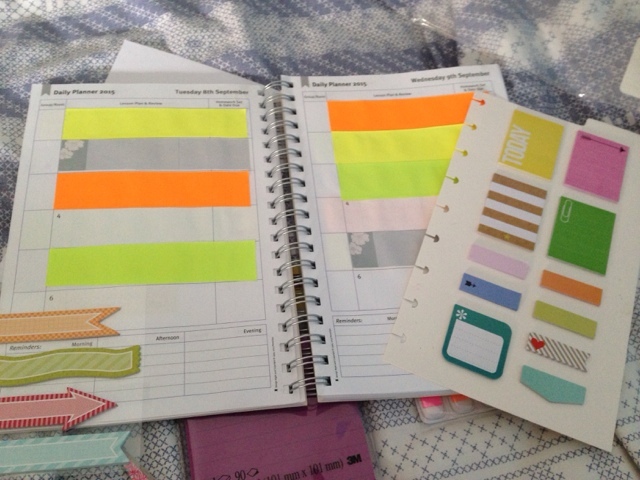 I've also got a page marker from me and my big ideas, it has a great selection of flags for things I need to do and reminders. Now I've just got to tinker together a dashboard. So all in all? I might just be a little bit in love with my wirebound diary after all!